This Khukuri is used by the Gurkhas deployed in Afghanistan since the war has started there, hence it’s called the Afghan Khukuri. This is a replica of the Khukuri being used by the Gurkhas in Afghanistan. This has been crafted for the best use in fight, though the replicas are exact copies of the Khukuri, they are a bit blunt than the actual Khukuri used in War, but it’s an exact replica. The Khukuri is made in the style of Angkhola Khukuri with an 11 inch semi polished blade, and a handle of 5 inch. The blade is double fuller, or with 2 chira. The blade is made up of Highly graded Carbon steel (Car and jeep leaf spring 5160). 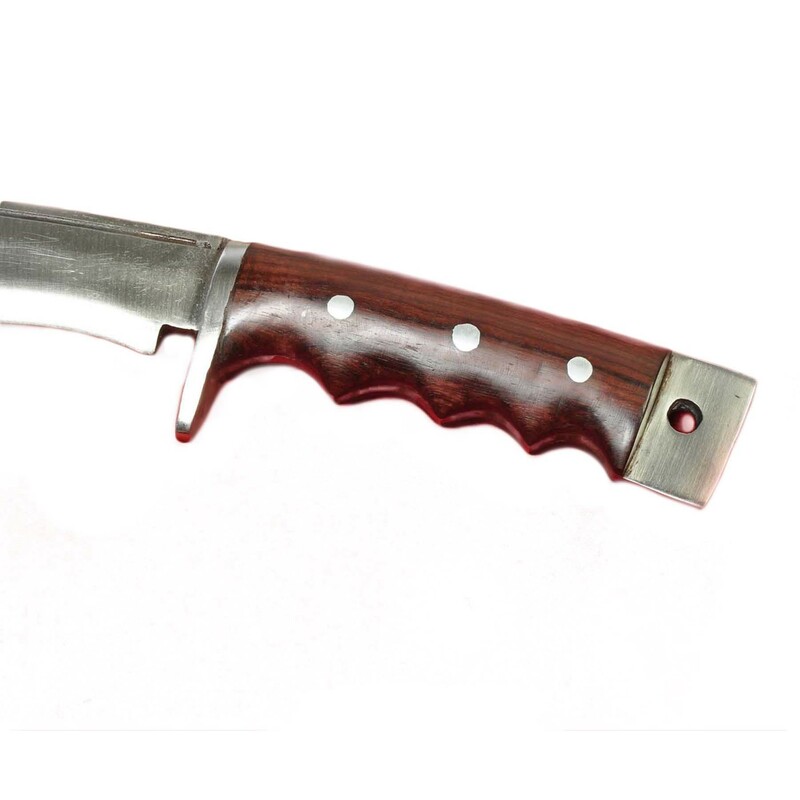 The handle is made up of Rosewood with a comfortable finger grip which is very easy to handle. It is a full tang Khukuri with the base of the blade protruded out with a hole at the end for safe carrying or as a hook. The rosewood on the side of the blade which makes the handle is glued together by the traditional Nepali glue called Laha. The scabbard is made up of pinewood with water buffalo leather. 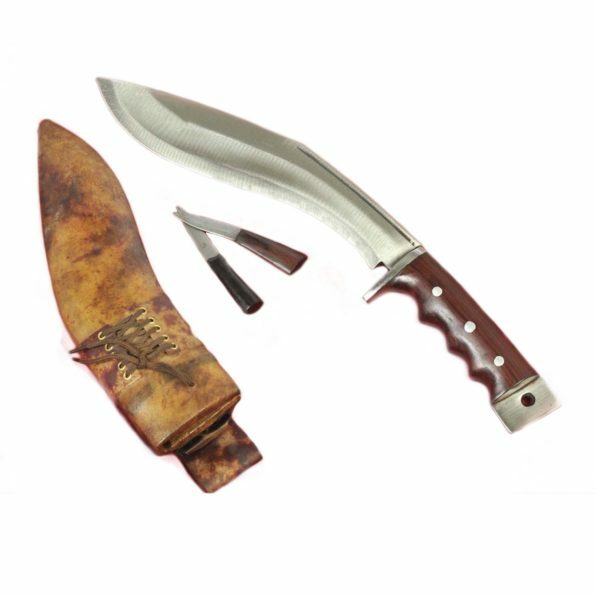 The khukuri comes with Karda and Chakma, two small accessory blades used for polishing. Blade Size and Type: 11 inch (27.5cm) Handmade and Unpolished blade. Handle Size: 5 inch (12.7cm) Rosewood full tang with blocker handle. Weight: 750 gms ( 26 Oz Approx).